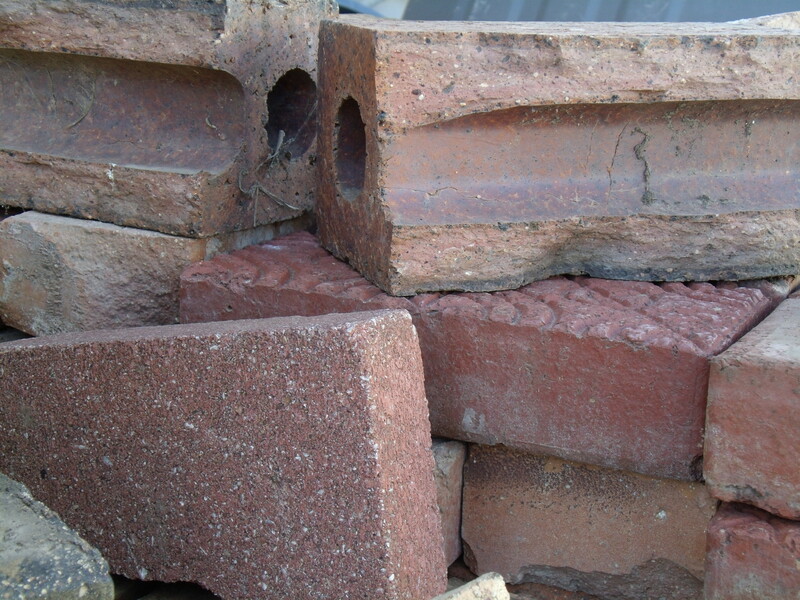 Where were we – oh, yes, not all bricks are equal. 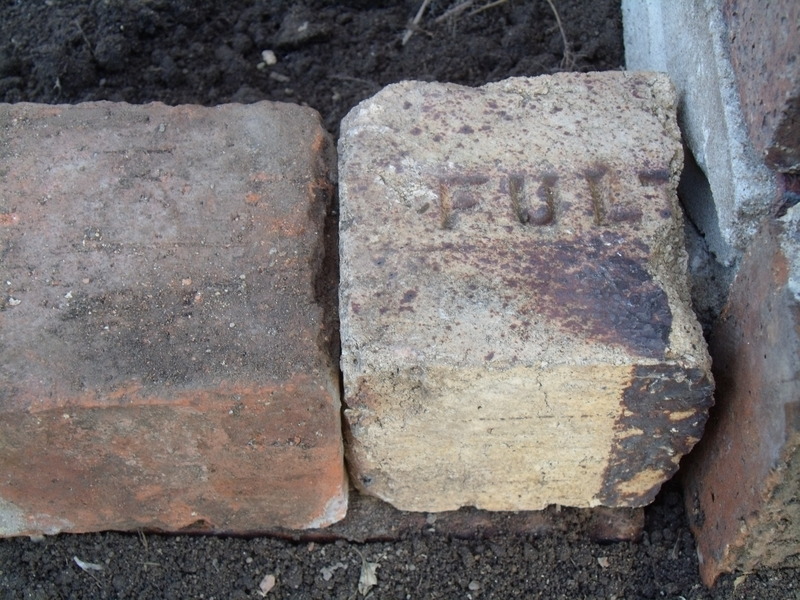 Once I find the pattern of brick sizes I’ll need, I loose stack the bricks, slightly alternating them to give a measure of stability. 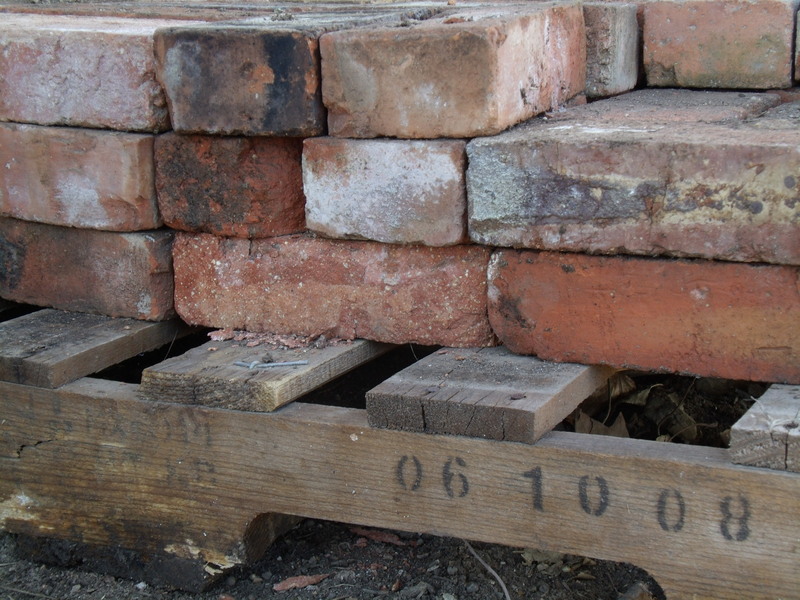 It just happened that the fit worked out to slide one brick in upright at the end of the row. Whew! Close call. I didn’t even think of the fit between corner blocks. 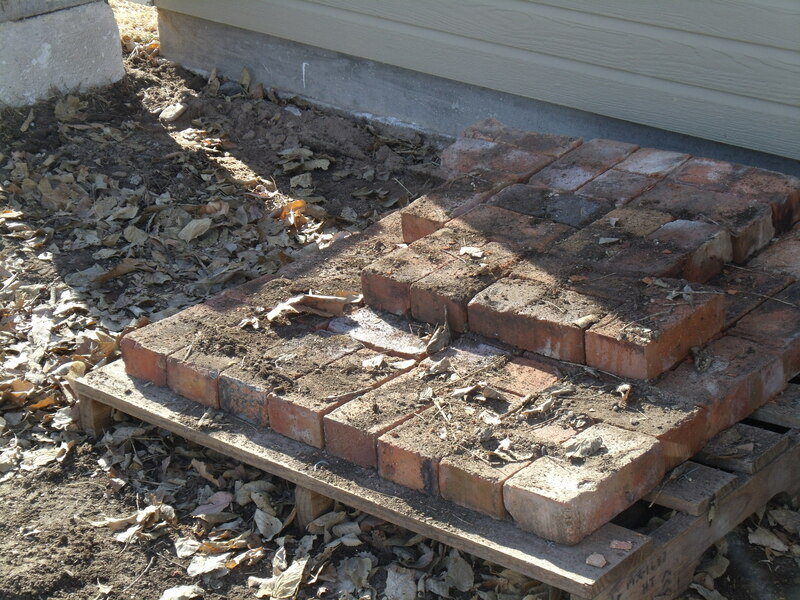 I did pound the bricks with – you guessed it – a brick, to get them fairly level. Once the back wall is done it’s time to measure the width. 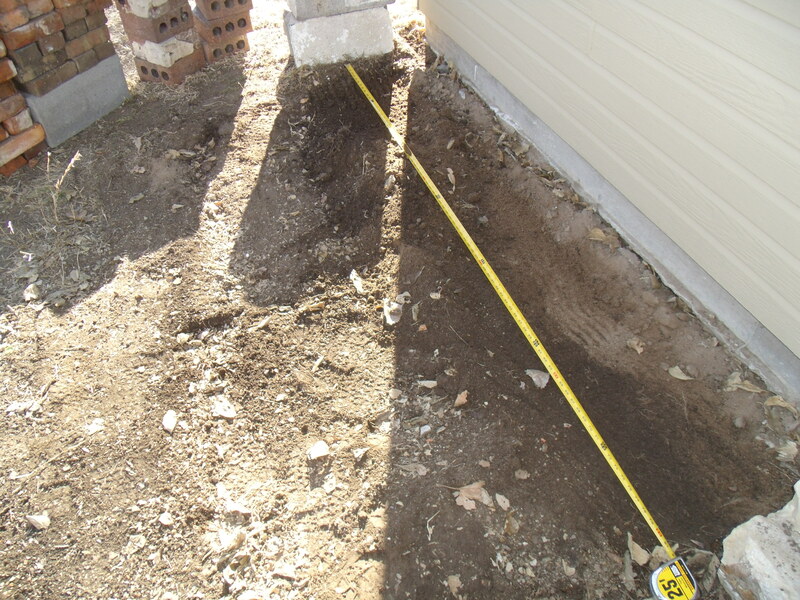 The front corner areas are measured and dug. Now, what will best fit here? Time for the test – I bring out the door and lay it on the U shape I’ve built. 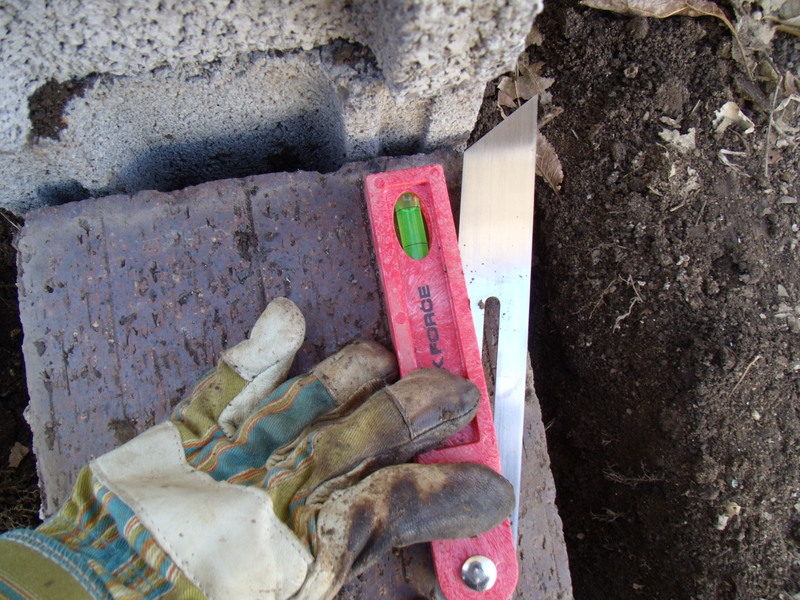 It’s not going to pass an inspection for perfection, but it’s going to work, practically so. 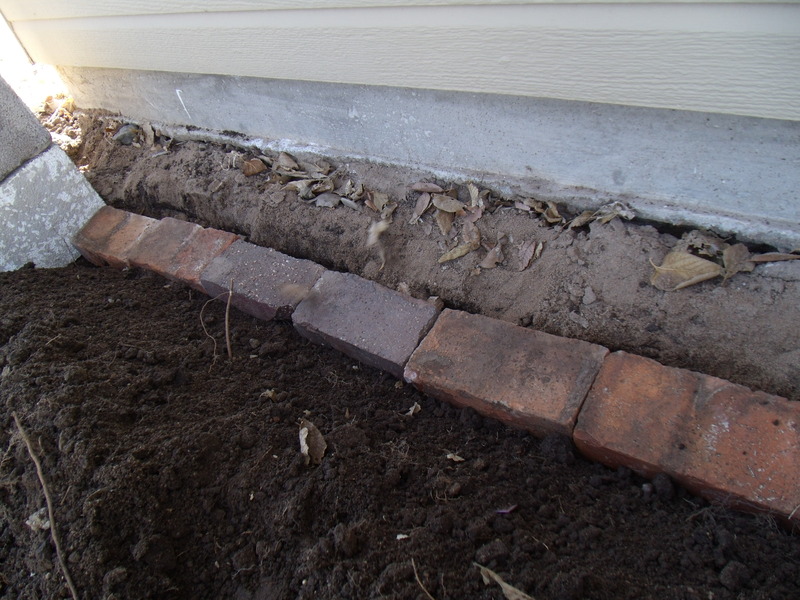 I measure at intervals and dig in the shovel to mark the distance, then dig out a line for my front wall. 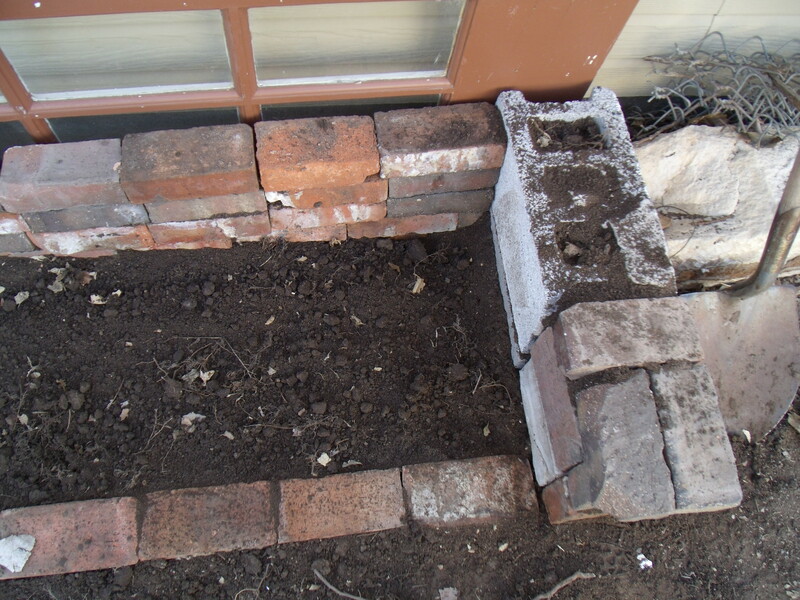 Dig out the remaining dirt to set flush with the first layer of bricks on the front wall. 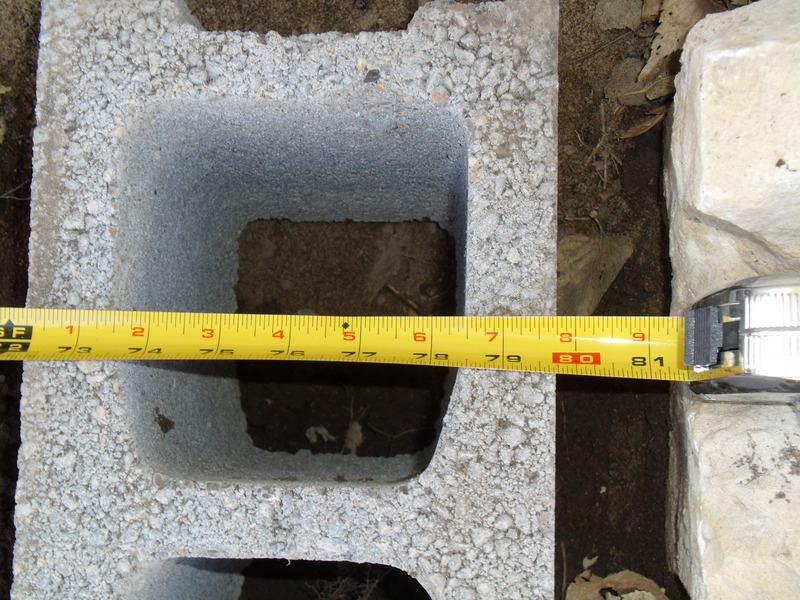 Some will go to the compost pile, and some is used to fill the concrete block corners. 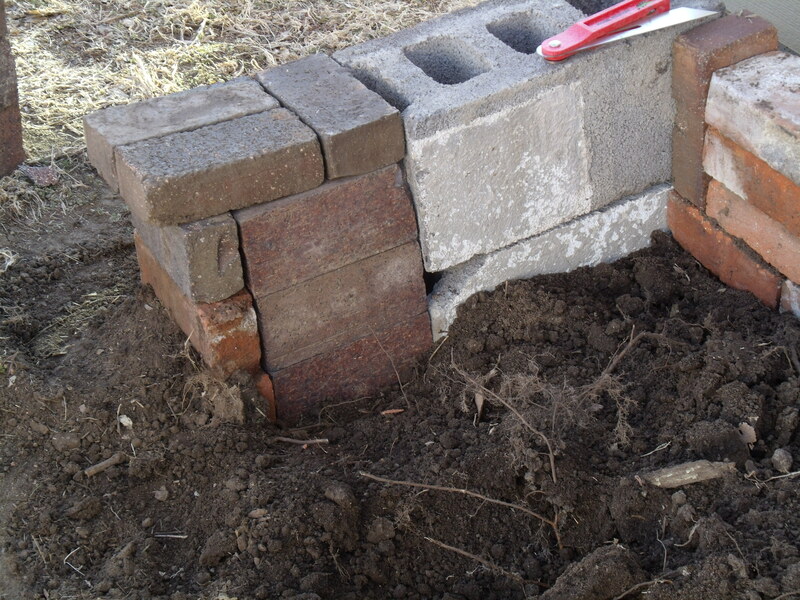 Stack the bricks, alternating with a few half bricks, to form a stable front wall. 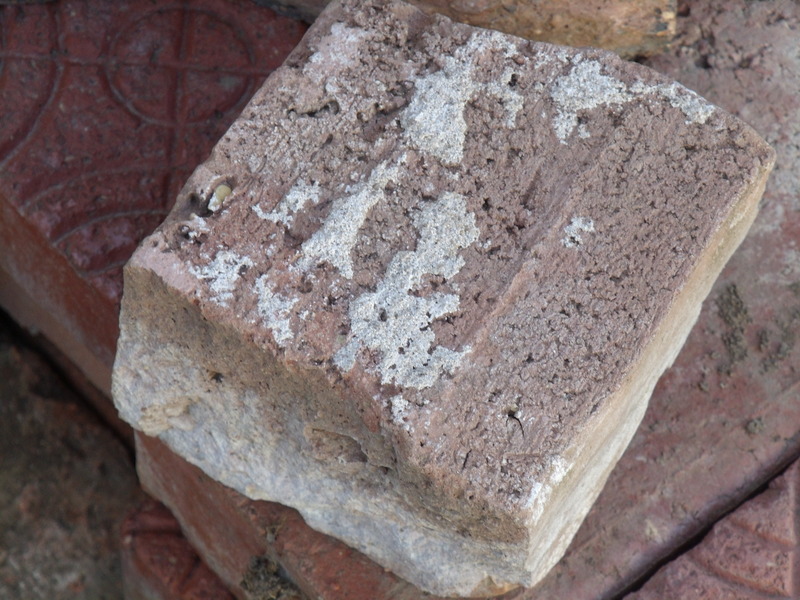 Isn’t that half brick a beauty? I noticed the door handle, which protrudes on both side (as door handles do, hehe), so I left a gap in the center of the top row of bricks. 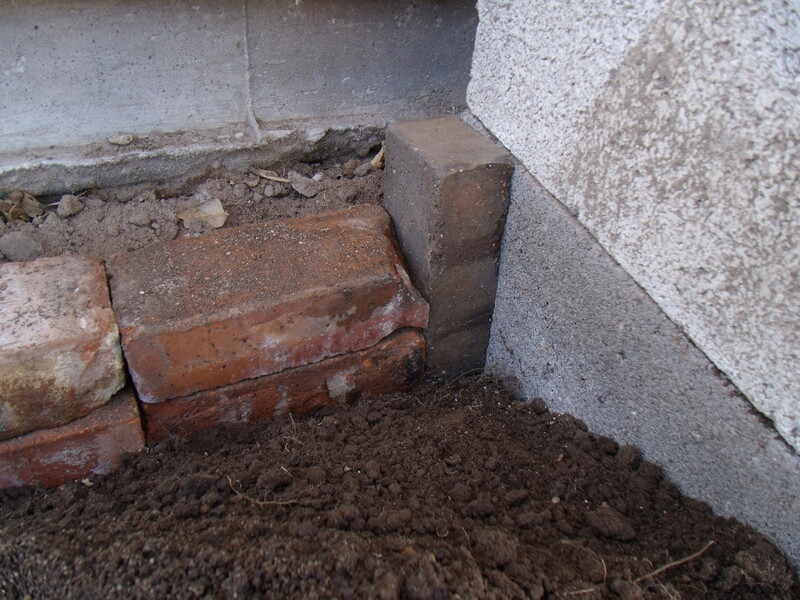 That gap is larger than I need, perhaps there’s a brick that would fill in well here? Now, to clean up my mess. 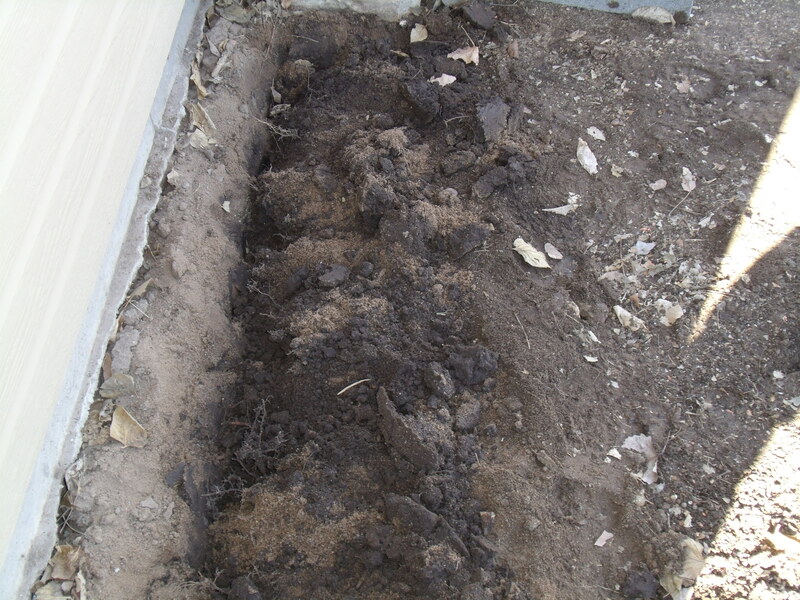 There’s dirt to dump, and leaves to add to the compost. 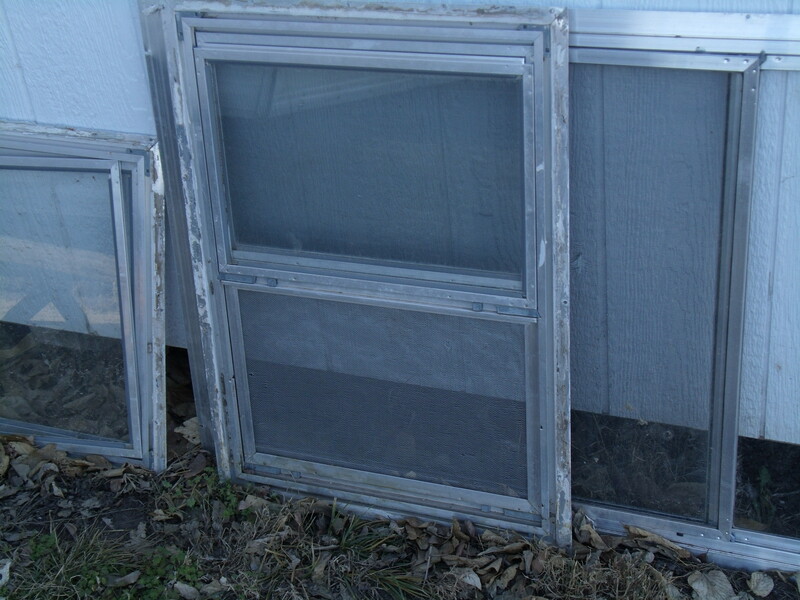 Ah, here’s a project for another day – how many cold frames can one person have? Actually, I have to confess, I’m thinking about setting up a hot frame on the north, shady side of the house, to start fall crops. Most projects are also a treasure hunt – here are the goodies from this project. Beauty is in the eye of the beholder, right? 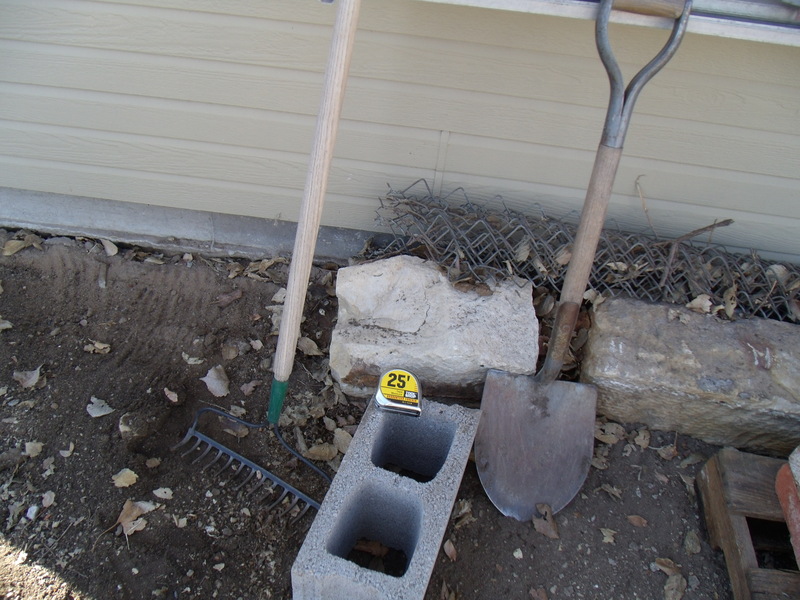 Or, practically speaking, I kept these items out of the compost pile! 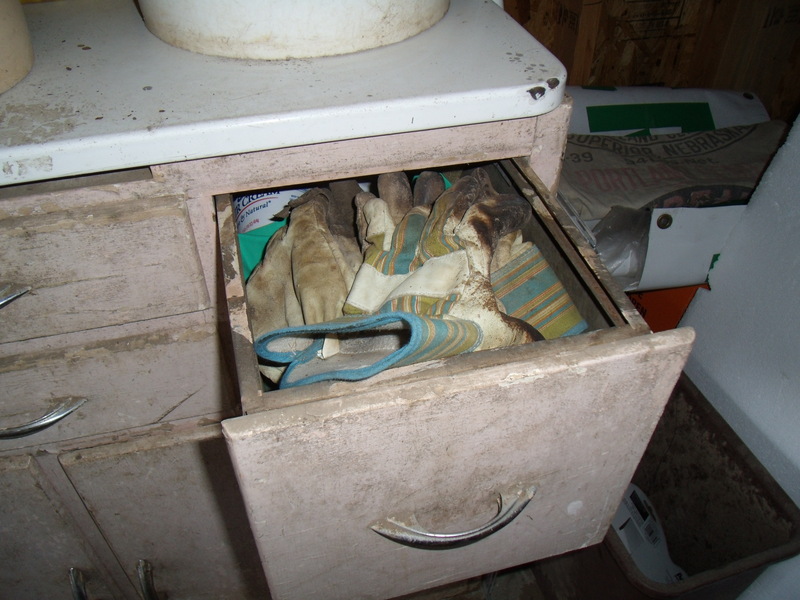 Tools and gloves back in their places… in my practical garage gardening cabinet. It’s a found item, free, with a great porcelain covered metal top that cleans up easily. My practical approach allows the garage items to look like they belong in the garage: with grunge appeal, and for practical use (we get dirty here). No need to waste time prettying it up unless I have way too much time on my hands. And the finished product – pending slight rework. (Start Rocky song now, before my muscles catch onto the pain that’s to come)! 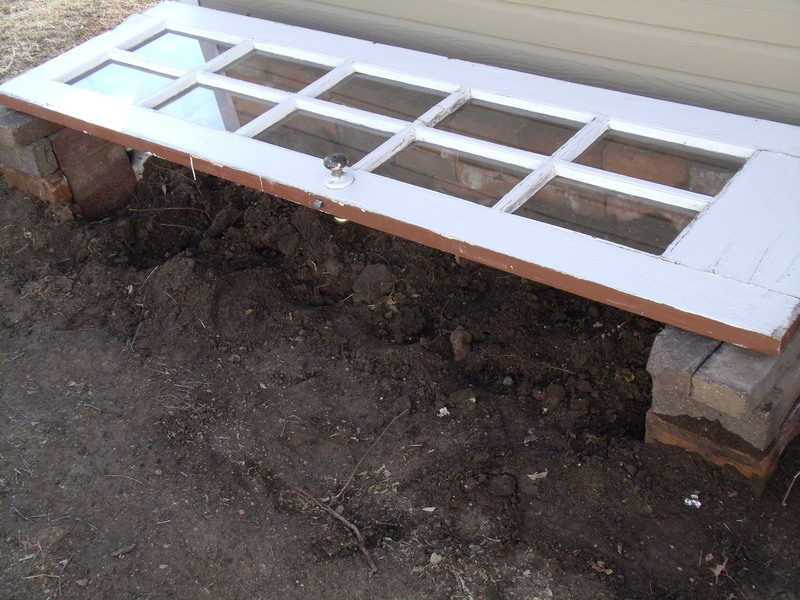 Also, the door has been easy to lift and set behind the back wall of the frame, so there was no need for hinges, or a tie back method, or a lid prop. I’ll test it for functionality soon and make a revision post if the need arises. OK, where were we? Oh yes, back to the task at hand. Sorry, I rabbit trailed again. The space is finally cleared of our squatters. 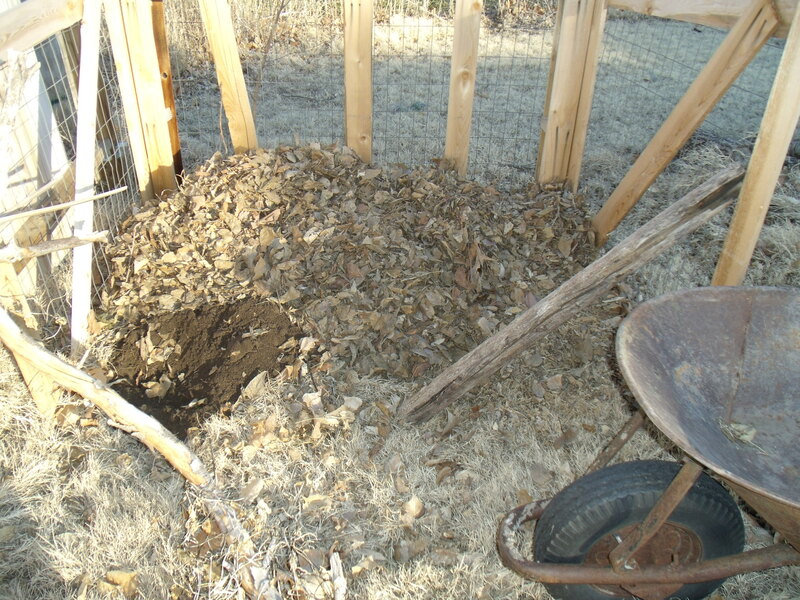 The leaves and debris are raked from the ground (compost pile fodder! 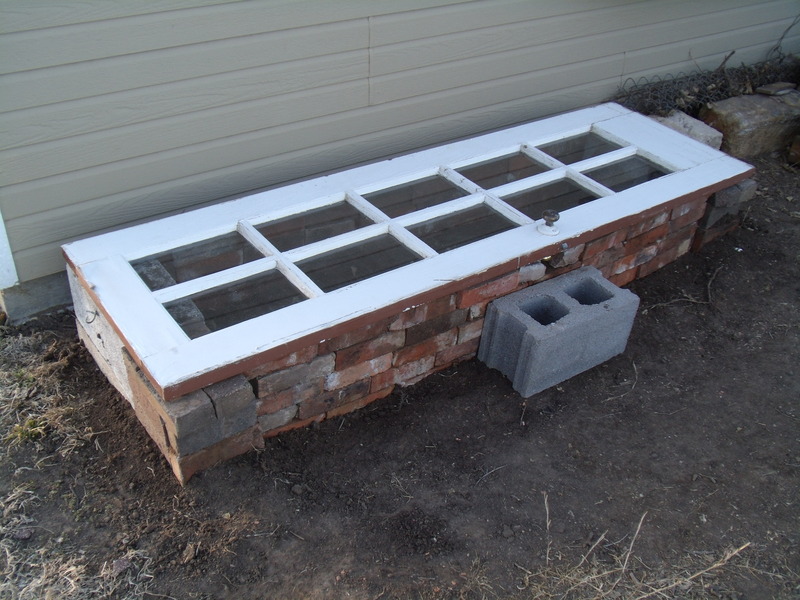 Another project for today :) and the starts of the cold frame are set to one side. Hubby has been great help, but now he needs to go rest his overworked back. 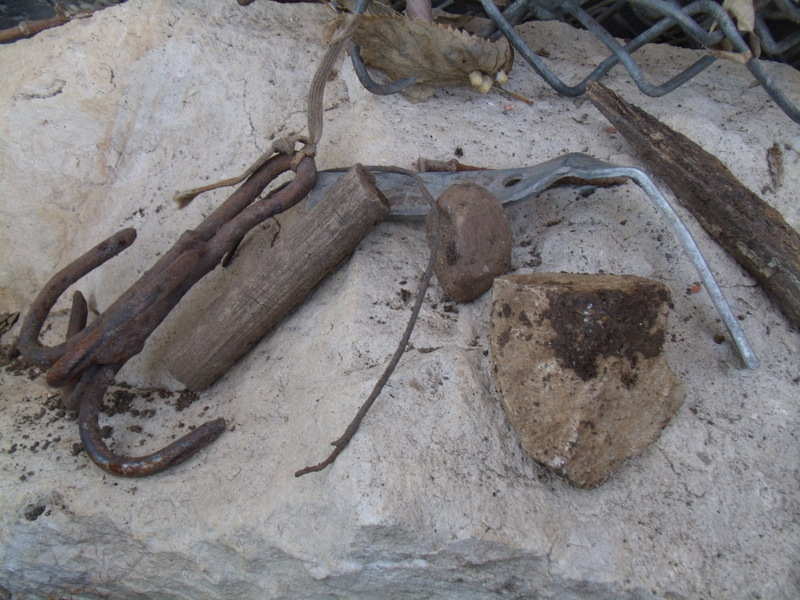 I assemble my tools: spring rake, bow rake, shovel, measuring tape, and level. 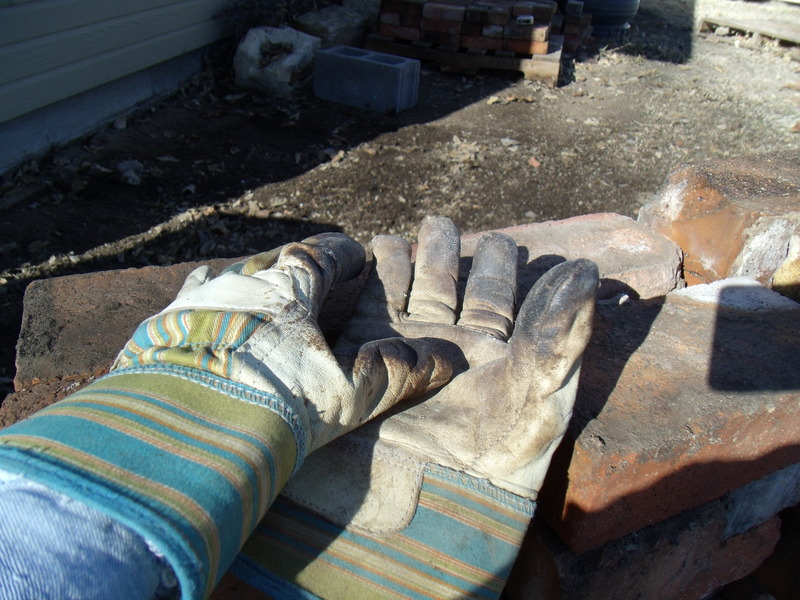 Don’t forget to wear sturdy leather gloves and good solid shoes! Measure the door that will serve as a lid for the frame. Then, measure the area to be certain it’s cleared. 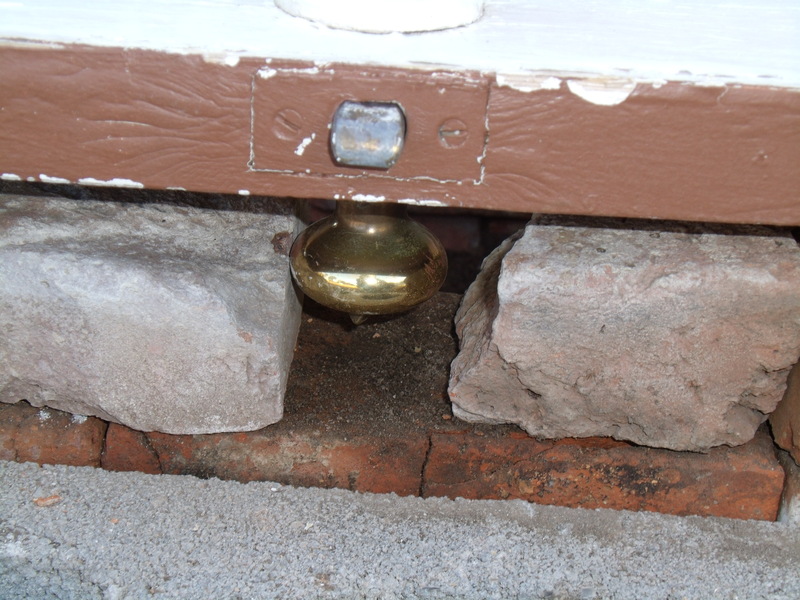 Mark out the space to set the rear corner stones. 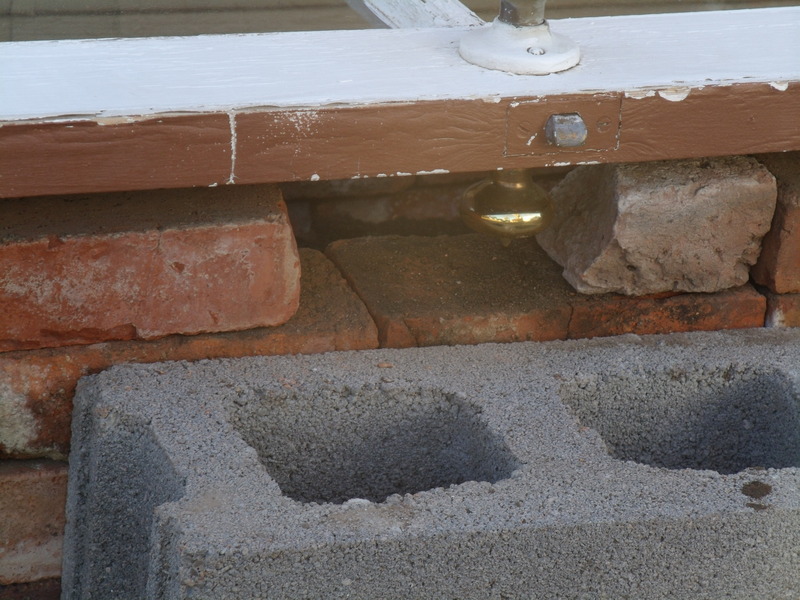 I have five concrete blocks, so I’ll use two in each back corner, slightly angled to allow water runoff. 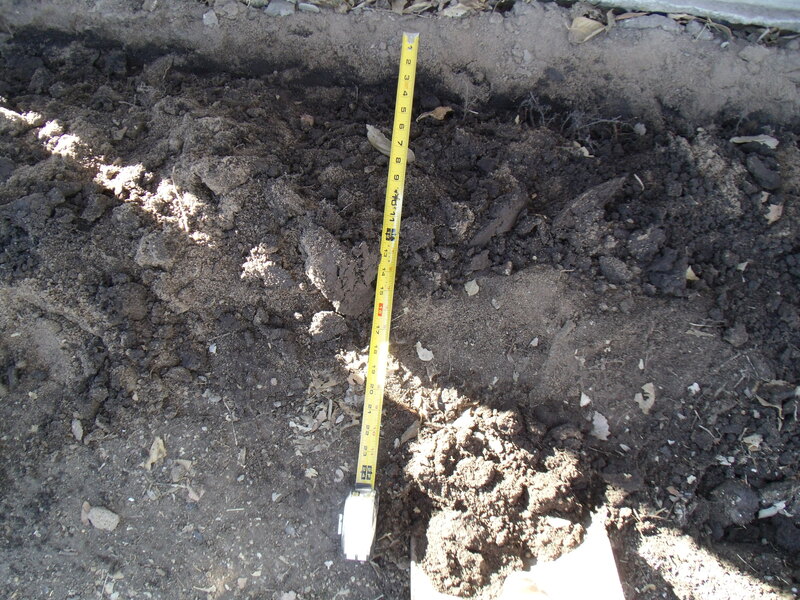 Dig down two or three inches to have stability at the base of the frame. 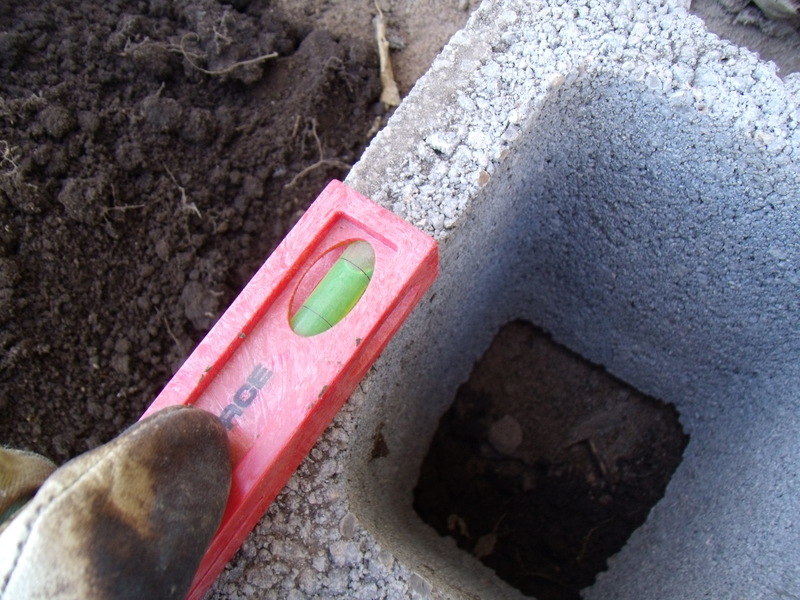 Once the blocks are set in place, I measure again to make certain they’re squared up and correct distance for the lid. The small level comes in handy to check the slope. Dig out the back line packing the dirt down flush so that the bricks will set level. 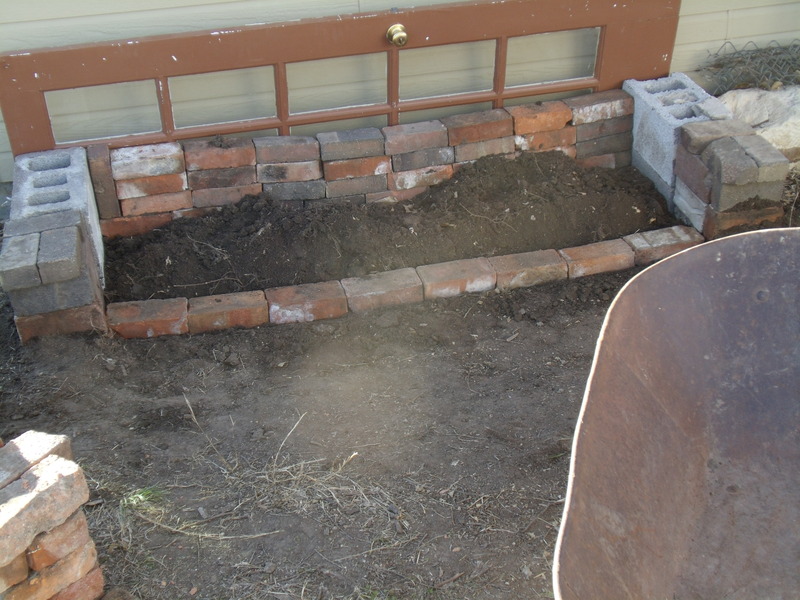 The first row was lower at one end than the other, so I back-filled with dirt to level the row. This project is not going to be a precise one, but it should be fairly solid. 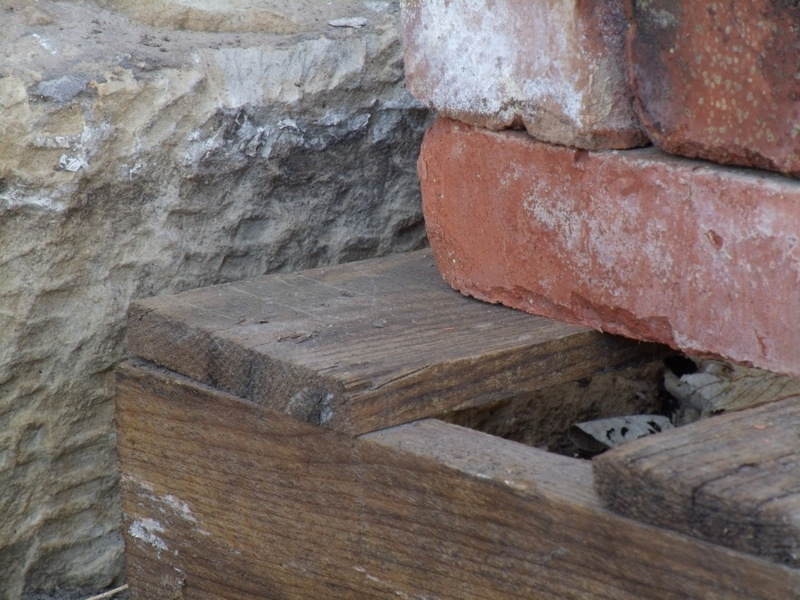 A newly learned fact: all bricks are not created equal (and now a break from our regular program to gaze at some art). Wasn’t that a nice break? Yes, I do enjoy color and texture. I appreciate my eyes – my sense of sight. Yes, yes, I’ll stop before I overdo my public announcements. Without further ado – we’ll continue this in the next post. I think it’s time for a drink, don’t you?